For re gular followers of Under The Radar Live Sessions the name Aimée will be familiar as the very first artist I ever interviewed back in October 2008 when she was merely 13 years old. In those days Aimee used to perform extensively at open-mic evenings around Hampshire and Surrey accompanied by her trusty guitars ‘Jeremy’ and ‘Jemima’. Her songs were always catchy and expertly written, sung with the passion and conviction of someone much older and experienced than her. 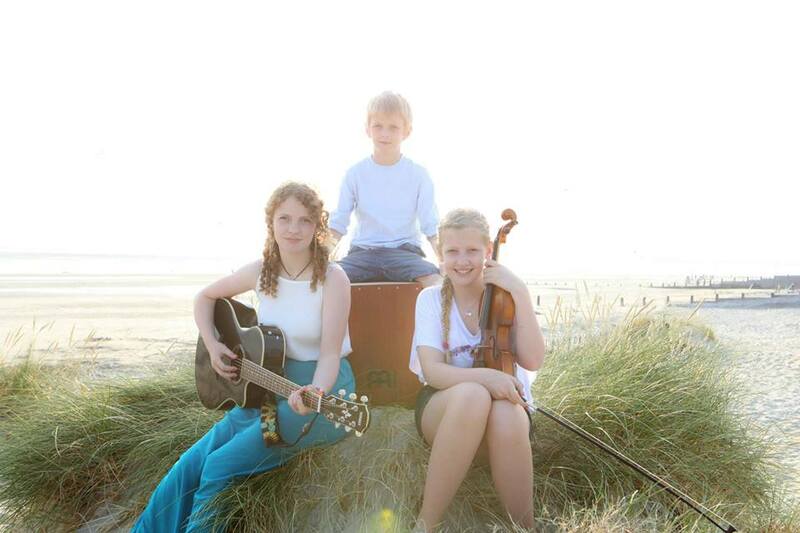 Since then, she has been joined by two of her younger siblings, sister Freya on violin and backing vocals, and brother Ross on cajon. Her sound has developed into her very own brand of acoustic folk with elements of americana, and delicious harmony-laden pop. Codes is her latest EP, a collection of four tracks, each giving a clear insight into the versatility and sheer creative genius of these three young artists. 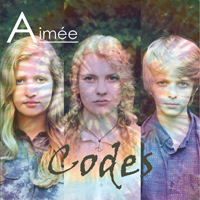 Echoes of Celtic chants greet you with Aimee’s opening verses, who is soon joined by Freya on harmonies. The guitar arrangements together with the violin and the beat of the cajon provide a magnificent accompaniment to their vocals. A beautiful melodic song, oozing sensitivity, hope, and a certain melancholy with a seriously infectious angelic chorus. A dramatic violin instantly transports you across Europe and to some bazaar in north Africa. This can easily be described as a masterpiece and quite possibly one of the strongest examples of the magnificent artistic creativity of these siblings. I guess this is Aimée’s very clever interpretation of a rap song, injecting a large dose of urban sound into her song. Classy, sweet, and as ever, driven by a strong melody and magnificent violin and expert percussion. To summarise, this EP is testament to a very special artist who continues to push the boundaries. Aimée has not exactly found ‘her sound’ but rather she has created her own genre and continues to develop as a singer song-writer and performer of the highest calibre.